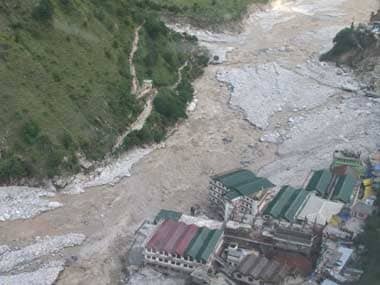 Dehradun: The exact number of British nationals who went missing during the mid-June flashfloods in Uttarakhand "may never be known", country's High Commissioner to India Sir James Bevan said today. 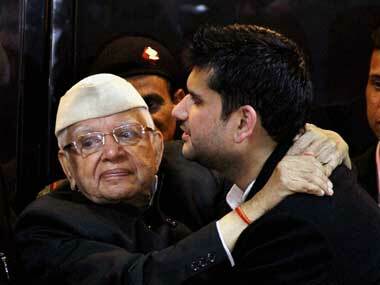 "We don't know how many British nationals were in Uttarakhand at the time of the tragedy. So we would never know how many of them perished," Bevan told PTI before leaving for Rishikesh. However, it was a happy ending for about a hundred odd British families who approached the High Commission and reported that their kin had gone missing after the disastrous flashfloods. "Thankfully, those British nationals reported missing have all returned home safe, but we are still clueless about those who went missing unreported," he said. Offering his condolence to families which lost their kin in the calamity, the British High Commissioner said the United Kingdom will love to lend a helping hand in rebuilding lives in the rain-ravaged state. As many as 4,120 persons, including 92 foreign nationals went missing after the calamity. "We would like to know whether climate change was a factor in the calamity and help in mitigation of its disastrous effects in the state," he said adding the UK has collaborations with several Indian states in mitigation of the effects of climate change sustainably. Bevan, who had called on Chief Minister Vijay Bahuguna and Governor Aziz Qureshi yesterday, said he has expressed commitment on behalf of the British government to contribute generously in putting life back on track in the flood-hit areas of the state, including Rudraprayag, Chamoli, Uttarkashi and Pithoragarh districts which bore the brunt of the tragedy. "We would like to collaborate especially in reconstruction of the tourist infrastructure in this beautiful state which suffered largescale damage in the floods," he said, adding, British Universities will also like to collaborate in English language teaching, technological and higher education sector in the state. UK's NGOs and financial institutions wish to contribute in the development of the state, he said, adding that, British Universities intended to hold training programmes for teachers of the state especially in English language teaching. Other than higher and technical education, contribution will also be made in the field of tourism, Bevan said. The Deputy High Commissioner will visit the state next week and prepare a road map in this regard, he said. He also had a word of praise for the state government for successfully carrying out a mammoth rescue operation in the wake of the tragedy which saw evacuation of 1.5 lakh pilgrims stranded in the high altitude areas of the state.